The Importance of Communication – A Vaughan Relationship Centre “Super Blog”Video: What Makes a Good Relationship? Getting back into the dating scene can be an unnerving endeavour after a divorce or break up. The hesitation, fear, and hurt that you endured from the past can, of course, hold you back from moving forward. It’s not easy being vulnerable to someone and then having it fall apart. Having time to feel and experience your emotions is important. But eventually, it’s time to give yourself that much-needed nudge by acknowledging your fears and emotions, and then getting back to focusing on the future rather than the past. To help you muster up the courage to move on, here are some simple ways to ease back into the dating room. Before making your official entrance back into the dating room, you first need to invest the time and effort into getting to really know, appreciate, value, and love yourself. Start to really hone in on what you like and what you don’t like in a partner. If you’ve been settling for the scraps and crumbs of love and affection in the past, it’s time to raise your standards. When you learn to value yourself, you will boost your self-worth, your confidence and you will be much more inclined to find someone who will value you also. Just because you came out of a long-term relationship or marriage, it doesn’t mean you need to start searching for something serious right off the bat. Don’t overthink this. Keep it light and fun and flirty. Now is the time to get back to enjoying yourself and the company of others, without focusing on the future direction. As long as you stick to your values and your higher standards, you don’t need to be consumed with thoughts about where things are heading. There’s no better way to ease back into the dating room than by going out. If you’ve formed an intimate relationship with your pyjamas and Netflix lately, it’s time to get out! Grab your closest friends, throw on an outfit you feel great in and start embracing your single self by going back to the good old fashion way of meeting people. Plus, having a few friends by your side is one of the best ways to remove any pressure when you’re out. Just focus on enjoying yourself when you feel like it. Whether it’s a long-term relationship or even short-term, it can be challenging for anyone to get back into the dating scene. 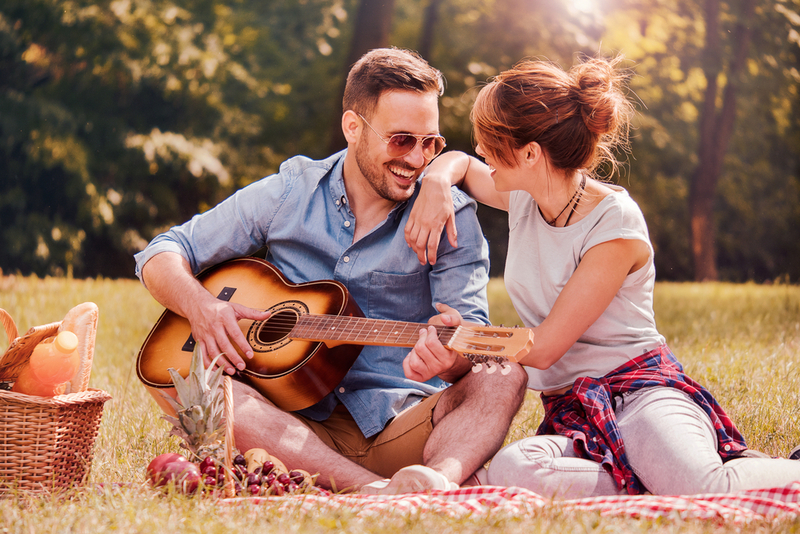 So when it’s finally time to get back out there, try implementing these simple ways to ease back into dating without the pressure and anxiety that can often come along with it. Instead, try to focus on just getting out and learning to embrace the excitement of starting anew. We at Vaughan Relationship Centre are experts in all things relationships. Need advice on how to move forward? Don’t be afraid to contact us today.